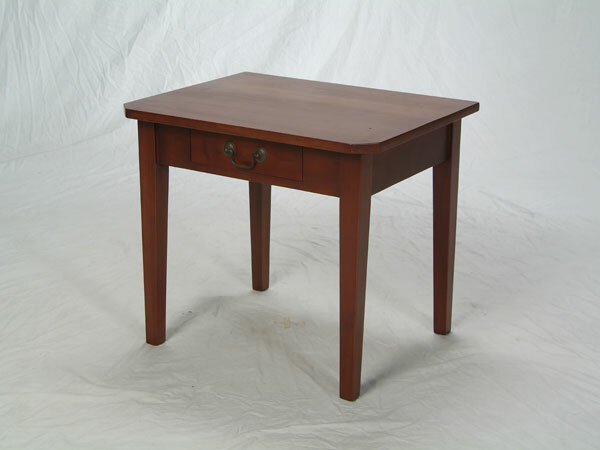 This 20" x 24" Creole style cherry side table is an authentic Louisiana reproduction. The secondary wood is cypress. The cherry tree fell in Lafayette, LA, on our shop property, during hurricane Lili. Custom sizes are available.